Charlie Bears Butterball Minimo Discounts Apply ! 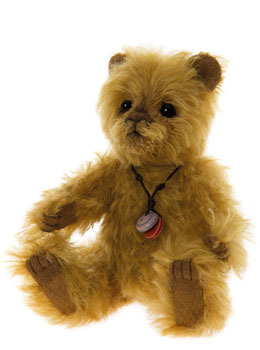 Butterball a tiny fully jointed bear in a soft butter coloured mohair. He has everything you would expect a too cute bear to have. Tiny paws, small stitching and a hand embroidered and shaped nose with delicate airbrushing detail. His small little eyes shine and he has soft finely trimmed rounded ears, his face too with the mini sculpturing and tiniest embroidered nose really finish off this divine little bear. .